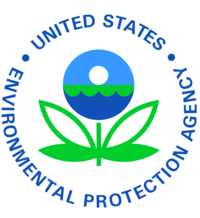 The Environmental Protection Agency (EPA or sometimes USEPA) is an agency of the federal government of the United States charged with protecting human health and with safeguarding the natural environment: air, water, and land. The EPA began operation on December 2, 1970, when it was established by then-President Richard Nixon. It is led by its Administrator, who is appointed by the President of the United States. The EPA is not a Cabinet agency, but the Administrator is normally given cabinet rank. The current Administrator (as of 2006) is Stephen L. Johnson. The EPA comprises 18,000 people in headquarters program offices, 10 regional offices, and 17 laboratories across the country. The EPA employs a highly educated, technically trained staff, more than half of whom are engineers, scientists, and environmental protection specialists. A large number of employees are legal, public affairs, financial, and computer specialists. The EPA provides leadership in the nation’s environmental science, research, education, and assessment efforts. The EPA works closely with other federal agencies, state and local governments, and Native American tribes to develop and enforce regulations under existing environmental laws. The EPA is responsible for researching and setting national standards for a variety of environmental programs and delegates to states and tribes responsibility for issuing permits, and monitoring and enforcing compliance. Where national standards are not met, the EPA can issue sanctions and take other steps to assist the states and tribes in reaching the desired levels of environmental quality. The Agency also works with industries and all levels of government in a wide variety of voluntary pollution prevention programs and energy conservation efforts. In July of 1970, the law that established the EPA was passed in response to the growing public demand for cleaner water, air and land. Prior to the establishment of the EPA, the federal government was not structured to make a coordinated attack on the pollutants which harm human health and degrade the environment. The EPA was assigned the task of repairing the damage already done to the natural environment and to establish new criteria to guide Americans in making a cleaner environment a reality. In 1992 the EPA launched the Energy Star program, a voluntary program that fosters energy efficiency; in 2006 EPA launched WaterSense to similarly foster water efficiency. EPA also administers the Federal Insecticide, Fungicide and Rodenticide Act (FIFRA) (which is much older than the agency) and registers all pesticides legally sold in the United States. It is also responsible for reviewing projects of other federal agencies’ Environmental Impact Statements under NEPA. American automobile manufacturers are required to use EPA fuel economy test results to advertise the gas mileage of their vehicles, and the manufacturers are disallowed from providing results from alternate sources. The fuel economy is calculated using the emissions data collected during 2 of the vehicle’s Clean Air Act certification tests, by measuring the total volume of carbon captured from the exhaust during the test. This calculated fuel economy is then adjusted downward by 10% city and 22% highway to compensate for changes in driving conditions since 1972. The current testing system was developed in 1972, and is a simulation of rush-hour Los Angeles of that era. Prior to 1984, the EPA did not adjust the fuel economy downward, and instead used the exact fuel economy figures calculated from the test. In January 2006, the EPA proposed new test methods to improve fuel economy and emission estimates, which would take effect with model year 2008 vehicles, setting a precident of a 12 year review cycle on the test procedures. Since 2000, many motor vehicle users reported significantly lower real-world fuel economy than the EPA rating; this problem is most evident in hybrid vehicles. This is mainly because of drastic changes in typical driving habits and condtions which have occurred in the decades since the tests were implemented. For example, the average speed of the 1972 “highway” test is a mere 48 mph, with a top speed of 60 mph. It is expected that when the 2008 test methods are implemented, city estimates for non-hybrid cars will drop by 10-20%, city estimates for hybrid cars will drop by 20-30%, and highway estimates for all cars will drop by 5-15%. In February 2005, the organization launched a program called “Your MPG” that allows drivers to add real-world fuel economy statistics into a database on the EPA’s fuel economy website and compare them with others and the original EPA test results. The Air Quality Modeling Group (AQMG) is in the EPA’s Office of Air and Radiation (OAR) and provides leadership and direction on the full range of air quality models, air pollution dispersion models and other mathematical simulation techniques used in assessing pollution control strategies and the impacts of air pollution sources. The AQMG serves as the focal point on air pollution modeling techniques for other EPA headquarters staff, EPA regional Offices, and State and local environmental agencies. It coordinates with the EPA’s Office of Research and Development (ORD) on the development of new models and techniques, as well as wider issues of atmospheric research. Finally, the AQMG conducts modeling analyses to support the policy and regulatory decisions of the EPA’s Office of Air Quality Planning and Standards (OAQPS).